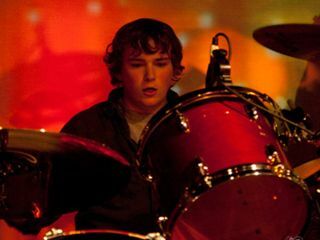 Last night Billy Corgan officially announced that the Smashing Pumpkins' new drummer is 19-year-old Mike Byrne, confirming what many have suspected for months. "Through the open audition process, I was astounded by how many great drummers there were that wanted the chance to try out for The Pumpkins," Corgan wrote in a blog on the band website. "We counted over 1,000 submissions, and what made Mike stand out was he just seemed to have that X-factor that all the great drummers have, a stunning blend of power, speed, and grace. I'm excited to work with him moving forward - he truly deserves this opportunity. I believe in my heart he will push me to be a better musician." For his part, Byrne is equally - and understandably - excited. Writing on the same blog, he said, "Dreams come true, man." He recounted the impact hearing the music of the Smashing Pumpkins had on him when he was 13. "It just connected with me and it was sort of a window into something really different and eclectic. The band was a little bit more willing to take risks than a lot of the stuff I had been listening to." According to Byrne, a Portland, Orgeon native, the actual audition process with Corgan was anything but average: "We didn't actually play songs at the audition," he wrote. "We just kind of jammed for about 15 minutes and then talked about Fugazi for the other 15 or so minutes." Byrne made his unofficial debut with Corgan last July with a band called Spirits In The Sky at a tribute show for late Seeds frontman Sky Saxon. The group will play six additional shows in California during the latter part of August. After that, Corgan hints that a reconfigured Smashing Pumpkins will start recording a new album (an announcement is said to come in September). This reverses the frontman's statements made last year that the group would function as "a singles band."